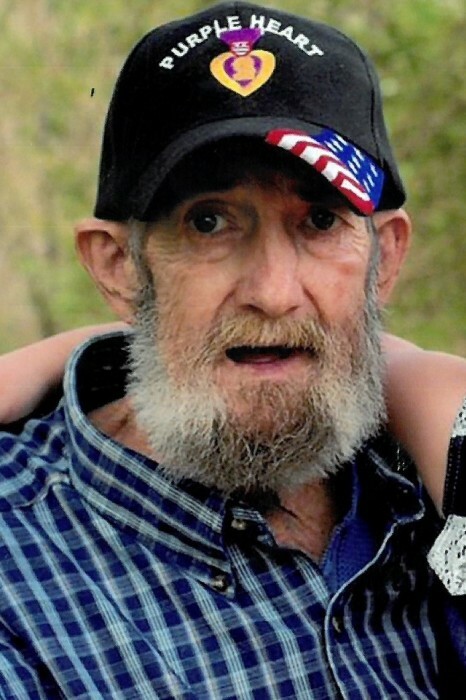 Royce Dale Hensley, Sr., age 74, of Marion, North Carolina passed away Friday, February 1, 2019 at his home, surrounded by his loving family. Mr. Hensley was born September 12, 1944 in Yancey County, North Carolina to the late Haque Hensley and Gladys Carroll Hensley. In addition to his parents, he is also preceded in death by his brother, Thomas Hensley; two sisters, Irma Freeman and Lee Williams; and one great-grandson, Killian Conner. He was a Vietnam veteran of the U.S. Army and was a Purple Heart recipient. Mr. Hensley loved doing anything outdoors. He especially loved cutting firewood and working in his garden. He loved his family and enjoyed doing things with his grandchildren. He showed them how to many things such as, bird hunting, cutting wood and how to do a hard day’s work. Those left behind to cherish Mr. Hensley’s memory are two children, Royce Dale Hensley, Jr. (Kim) and Audrey Smith; four grandchildren, Brandon Conner, Joshua Conner, Dakota Smith and Royce Dale “Tres” Hensley, III; twelve great-grandchildren, Hadyn, Tate, Jazmyne, Adalynn, Athen, Arrie, Samarah, Gideon, Julian, Drake, Zay Zay and one on the way, Parker; two sisters, Freda Bauserman (Dee) and Linda Hawkins (Ben); and special friends, Darrell Smith and “Big John” Waycaster. The family will receive friends from 11:30 a.m. until 12:30 p.m. on Wednesday, February 6, 2019 at Beam Funeral Service. A funeral service to celebrate Mr. Hensley’s life will follow at 12:30 p.m. at the funeral home with Reverend Jimmy Upton officiating. Interment will take place at the Western Carolina State Veterans Cemetery.